South gully to East Ord Mountain; north ridge to Peak 6010 at end. Peak 6010 is a remote peak north from East Ord Mountain. 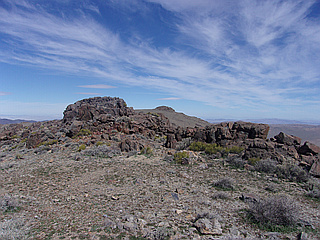 It can be reached by scrambling down and up over a rough ridge to the north of the saddle just west of East Ord's summit, and it is the rocky mound at the north end of that ridge. From the saddle, it is roughly a 2 mile r/t with some class 2, and maybe even class 3 in spots as the ridge has rocky outcrops along it. 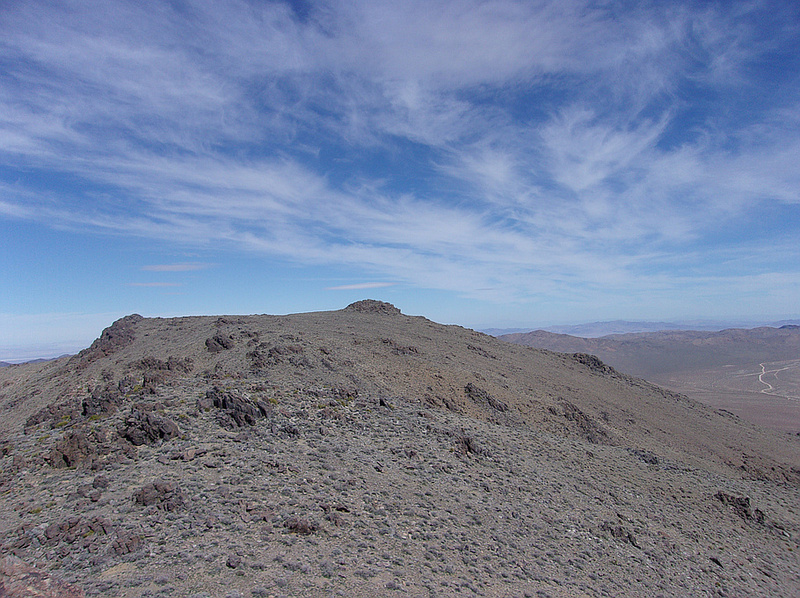 It may not have a lot of prominence above its connecting ridge, but it is a awesome cross-country adventure to reach as a bonus peak after Scrambling up East Ord Mountain.